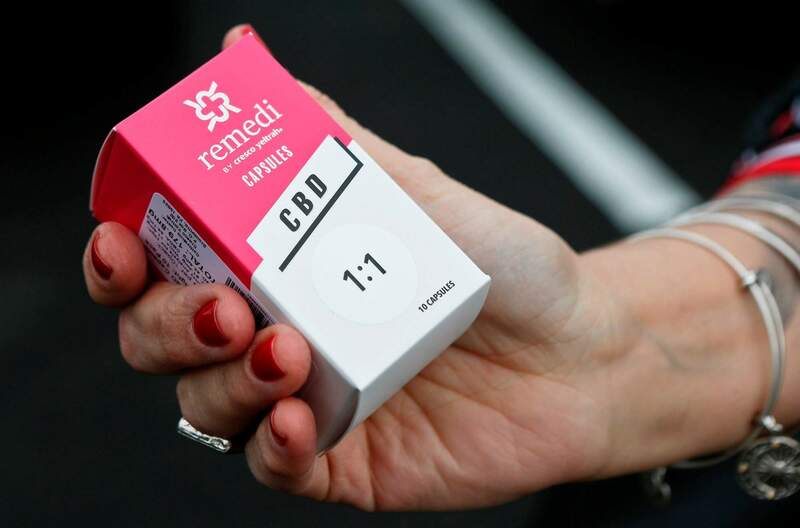 A woman holds the prescribed medical marijuana product used to treat her daughter’s epilepsy after making a purchase at a medical marijuana dispensary in Butler, Pa. Two new studies suggest that legalization of marijuana may reduce the prescribing of opioids. NEW YORK – Can legalizing marijuana fight the problem of opioid addiction and fatal overdoses? Two new studies in the debate suggest it may.